Home > Publications > Terrorism and other transnational threats in the Sahel: what role for the EU? 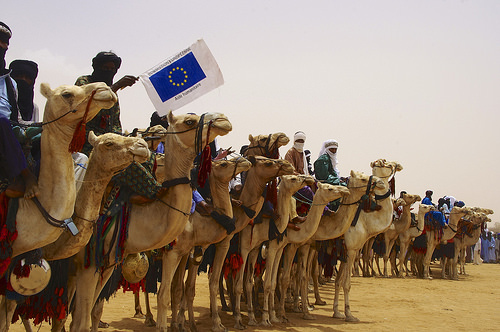 Terrorism and other transnational threats in the Sahel: what role for the EU? On 16 March 2010, foreign ministers from a number of Saharan and Sahel countries—Algeria, Burkina Faso, Chad, Libya, Mali, Mauritania and Niger—met in Algeria to discuss the evolving threat of al-Qaida in the region. The meeting was largely seen as a positive sign in a region where cooperation, particularly on security-related issues, has been limited by suspicion among many states, with the absence of Morocco and Tunisia from the meeting being illustrative of those tensions. This gathering in Algiers was followed by another meeting of the heads of intelligence services on 4 April. Center on Global Counterterrorism Cooperation, Policy Brief, Sept. 2010.